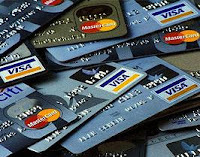 Prepaid Credit Cards: Can They Really Be a Solution to Avoiding Credit Card Debt? When it comes to plastic, there are a lot of choices out there. Not only do you have the choice of credit card, debit card or prepaid credit card, but you also get to decide which financial company you want to use as your card provider. Credit cards and debit cards are both risky. Credit cards can help put you deeply into debt, while debit cards give thieves and collectors access to your entire bank account. A growing number of people are finding that prepaid credit cards are becoming the best option. Prepaid credit cards look and act just like a credit or debit card, except you put the money on the card before you make any purchases. You are only allowed to spend as much money as you have pre-loaded on the card, which means that you are not at risk of going into credit card debt from overspending. These cards also keep your money safe, because thieves will be limited to the amount that is on the card. Even if your card is lost or stolen, many prepaid credit cards now offer the same protection as regular credit cards, by replacing funds used for fraudulent charges. Some prepaid credit cards have card member benefits, like roadside assistance and special discounts. You may even be able to find one that comes with rewards, like cash-back on certain purchases. These used to be the type of benefits that were only available to true credit card members; but, since more people are moving away from credit cards to help manage their debt, these cards are starting to act more and more like a credit card without the credit limit. If you are looking for a solution to help your teen manage money, prepaid credit cards are a better option than giving them a real credit card or a debit card linked to your bank account. This is because you are always in control with a prepaid credit card, by only allowing your teen to access as much as you want them to spend. This helps teach your teen how to spend money responsibly, even when it is on plastic. You can also reload the card anytime, no matter how far away you are from your teen. Some cards come in packages of two or three, so you can manage the whole family or more than one teen at the same time. The main thing you need to remember about a prepaid credit card is that it is not credit. You have to have the money before you can spend it. This can be viewed as a benefit or a drawback depending on how you look at it, but it should be viewed as a benefit to those looking to avoid credit card debt. For those looking to rack up more credit card debt that they cannot pay for, this card will not be a good solution. If you are looking to keep control of your credit card debt, a prepaid card can help you manage the money you have and spend the money safely - without worrying about a thief emptying your entire bank account. You can put what you need on the card, spend it for bills, groceries or shopping and keep track of your balance and purchases online. You might even earn a little cash back or other rewards for managing your money responsibly. Richard Towler is a consumer finance advocate for Secured Credit Cards 4U, a US credit card comparison website for consumers looking to rebuild credit.